Use the information below to help you make an informed choice of bed. It can be very confusing on the internet trying to choose the correct bed amongst all the information and miss-information floating around. Take the pain of of this by talking to a professional company, that will listen and explain in simple terms what will be best for YOU. 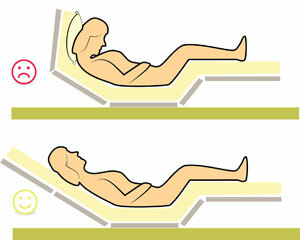 It is very important to choose the correct bed dependant on the users needs and medical condition. 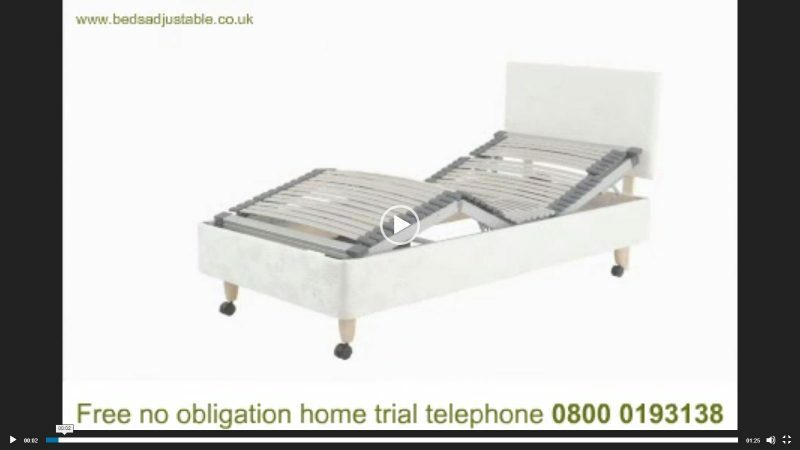 If it is just a “comfort bed” you may not need to go to the expense of a bespoke service and may well just need one of our essentials beds (Chatsworth). 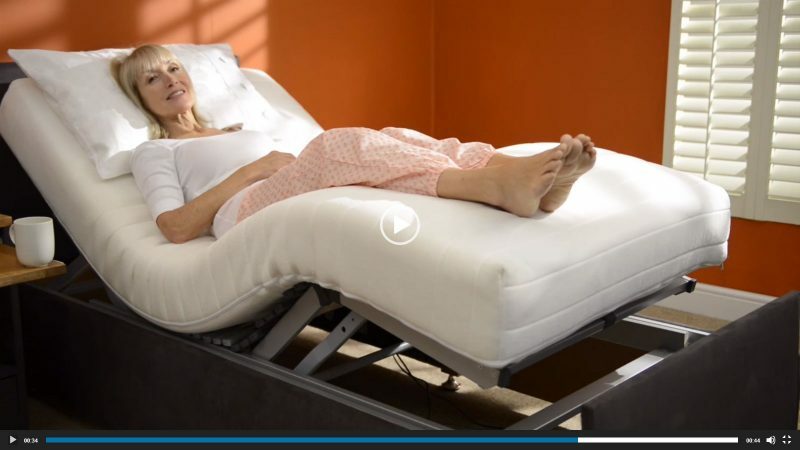 We have trained advisors that specialise in the adjustable bed field, they will assess your needs and only suggest the correct mechanism, mattress and surround that will suit you for years to come and not just for today. Your needs are likely to change more over the next 10yrs than they have over the last 10yrs, so we aim to get it right, NOW and for the years ahead. 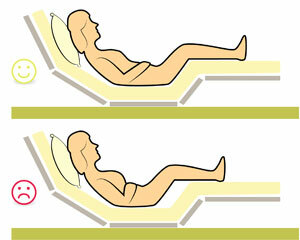 to stand up from the bed but also at the lowest point to easily be able to get your legs up onto the bed. If your bed is too high it may be difficult to get your legs up onto the bed. Our sleep advisers are trained to make sure your bed is made to the correct height. If your bed is too low it may be difficult to stand up from your bed. Your Freshstart sleep advisor will measure the correct bed height for you, called “your pivot point”. This will make it easy for you to get ON and OFF of your new bed. The seat width: (obviously if it is too narrow it will be a tight squeeze and too wide it will not support your arms correctly on the arm rests). The seat depth: (again if the seat is too deep you will not be able to get your bum to the back of the chair and / or your feet will be raised off the floor. If it is too short in the thigh your feet will not be supported when the footrest rises and it will cut into your calves blocking circulation). 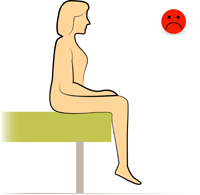 The seat height: (if your feet do not touch the floor it will pull on your thighs and can cause drop foot. Sitting for prolonged periods will also be very uncomfortable. If it is too low your feet will not be supported when the footrest rises and it will cut into your calves blocking circulation). Back height (if the chair back is too low, there will be no support for your neck and too high may push your head forward depending on the type of back cushion(s) you choose). Arm height (if the arms are too low it will pull on your shoulders and neck and if they are too high your shoulder will hunch). How many motors the chair has, ranging from 1 to 4. What type of back cushion(s) you need button, waterfall, snug fit, pillow or split.